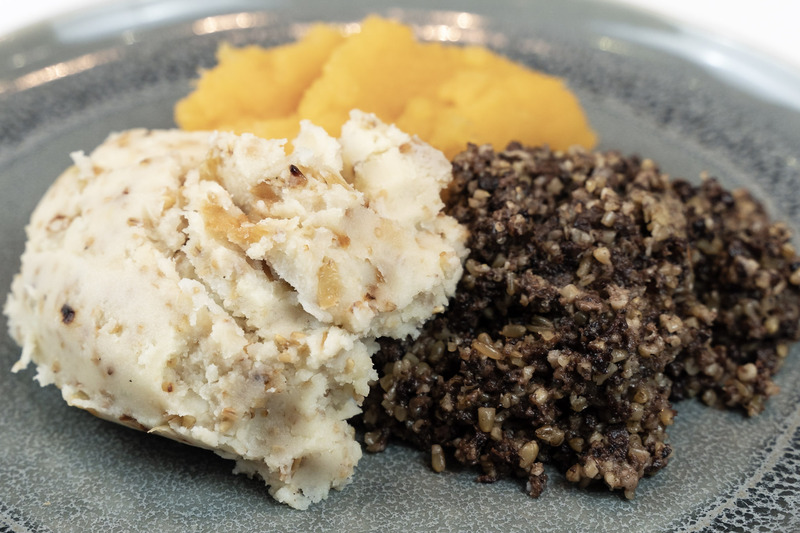 Skirlie is a traditional Scottish dish made from oatmeal, onion, fat and seasoning. It has been described as ‘a mealie pudding without the skin’ – not strictly accurate but not a bad description. Skirlie makes a great stuffing or accompaniment to chicken, turkey or even mince, and is delicious stirred through mashed potatoes. Melt the butter or dripping over a medium heat and add the onion. 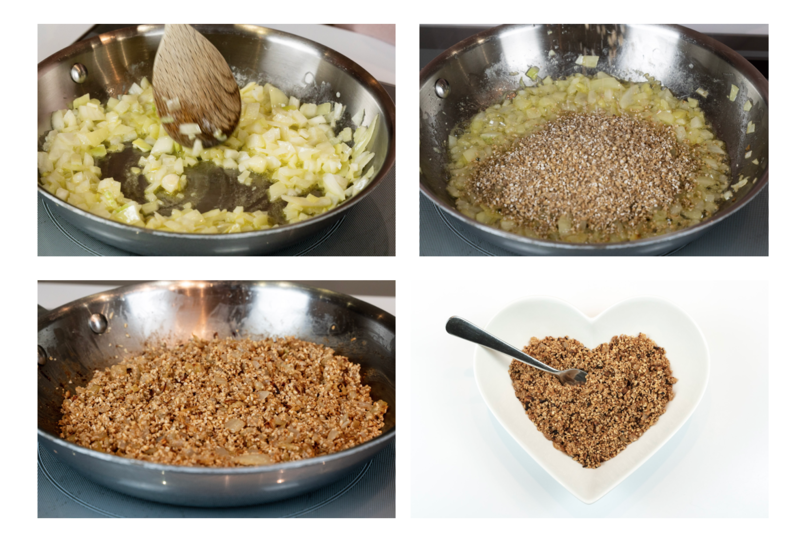 Stir until the onion is lightly browned but not burnt, then add the oatmeal and stir slowly until all the fat is absorbed. Add the salt and freshly ground black pepper to taste, then keep stirring for about 8 minutes, until the oatmeal is cooked but still retains some bite. For skirlie mash, mash your potatoes and stir in some butter and cream before adding the skirlie and stirring thoroughly to combine. 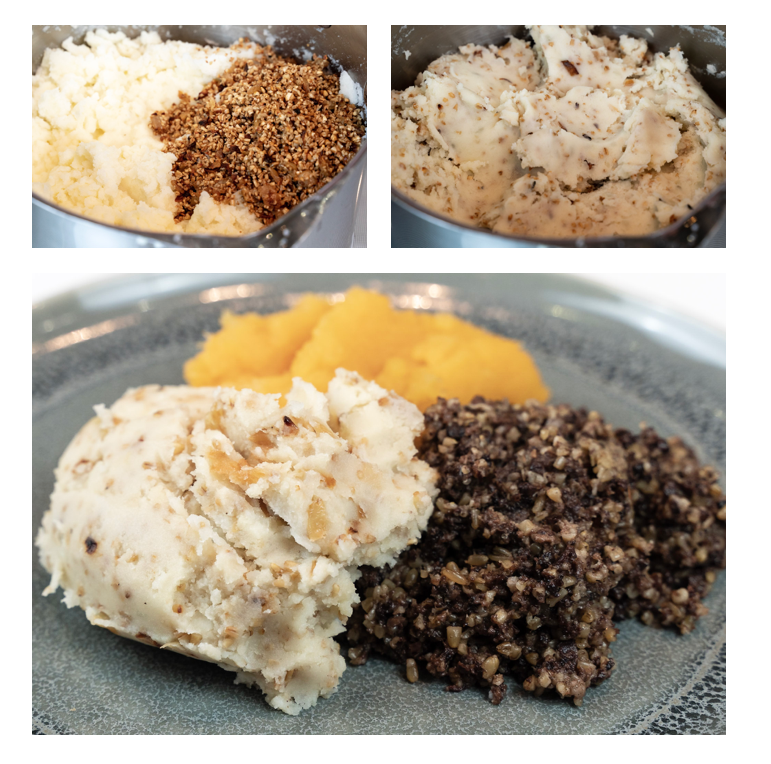 Skirlie mash is a great side dish any time, but particularly served alongside haggis and neeps.